Air Temp is proud to deliver energy-efficient performance for our customers every day of the year through our exclusive Linc Services Bundled Energy Solutions. You know that upgrading your utility infrastructure and replacing obsolete equipment is a must to control costs, conserve energy, and improve the comfort and productivity of your occupants - but funding can be a critical issue. Maintenance SustainablePM is a flexible, customizable maintenance, and equipment replacement program providing a manageable, stair-step approach to your energy efficiency goals. Our experts will work closely with you to put you on the path to energy efficiency and conservation, while keeping the goal of reducing operating costs and managing capital expenditures in mind. What can SustainablePM do for you? Linc's proven solutions work to make buildings efficient, sustainable, comfortable, and economical by maximizing the performance of your facilities' infrastructure, systems, and equipment. 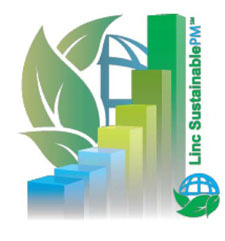 Through our customized, systematic approach to your energy efficiency needs, no matter what your sustainable objectives may be Linc SustainablePM will help you achieve them. To learn more about the Linc Bundled Energy Solutions and how it can help your business, call or visit our information request form.